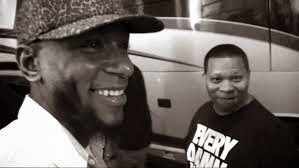 Maybe it's because I don't know how to stay in America for longer than eight months at a time, but I had no idea Yasiin Bey (Mos Def) and Mannie Fresh had been in the process of collaborating on any music together, let alone an entire album. The track Let's Go is apparently the second single from their forthcoming album, OMFGOD. (Before you even ask, I have no idea what the first single was. Didn't I just tell you I didn't know these two were putting in work?) While it might be easy for some to dismiss this single and this album, I would have to remind you the last time the East and the South got together to put down some music, the world ended up with Run The Jewels (Killer Mike x El-P). I'm definitely interested in what the final product is going to sound like. Follow the jump here courtesy of Audiomack and tell us what you think.